Salamander Designs TC3 home theater seating components let you mix and match to create your ideal seating configuration. This armless motorized recliner section is designed to be the right end of a row of seats. Connect additional TC3 seats with either straight or wedge armrest connectors. The chair is upholstered with 100% black bonded leather. This soft, supple material is easy to care for, and holds up to every use. An electric motor built into the chair operates the recliner. The chair needs only 3" of clearance from the wall to fully recline. You can adjust it to virtually any position easily with the included remote. The chair is generously cushioned, ensuring you can sit comfortably for hours. 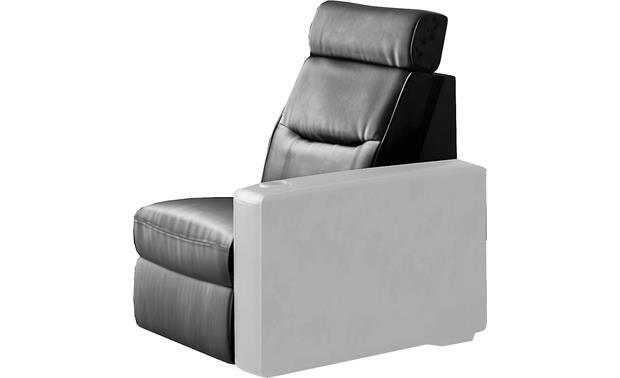 Searches related to the Salamander Designs TC3 Armless Chair Section Motorized recliner.